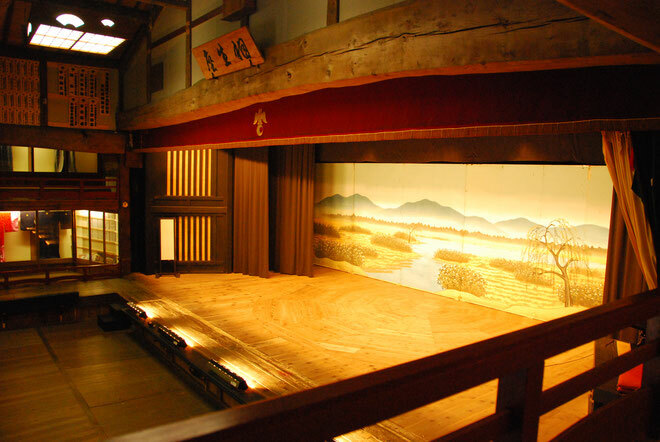 Aioiza is a playhouse equipped with a full-scale theater structure, including Hanamichi (passage through the audience), Suppon (a trapdoor on the Hanamichi from which an actor appears on stage), a revolving stage, and more. 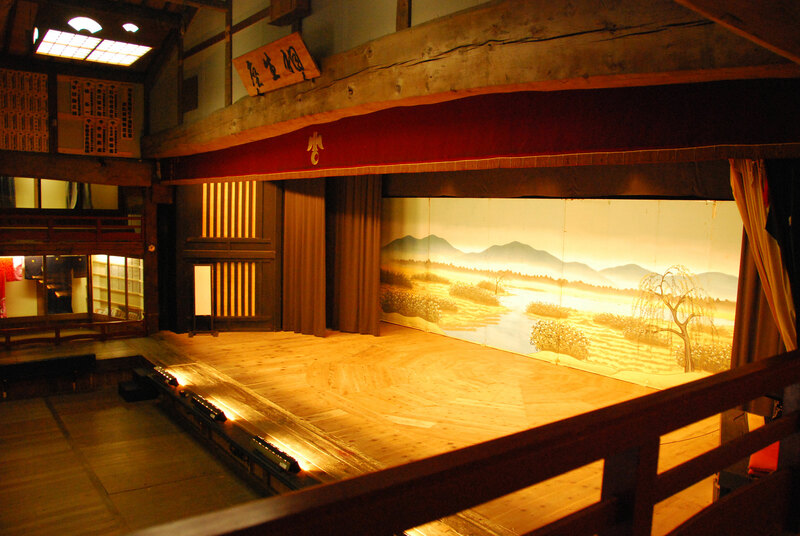 It is also a Jikabuki Museum housing more than 4,500 items, including costumes, wings, and stage properties of Jikabuki passed down from the end of the Edo period. 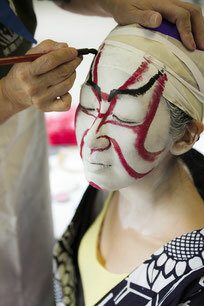 You can experience Kabuki costumes, Kabuki makeup, and a tour of the old playhouse. 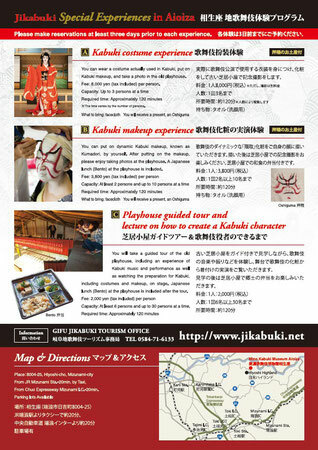 This site has accommodations, “Hiyoshijuku Honjin,” and you can fully experience Kabuki and Japanese culture while staying there overnight. Please make reservations at least three days prior to each experience. 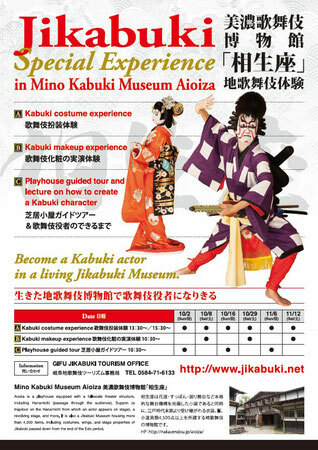 8,000yen (tax included) per person. Approximately 120 minutes *The time varies by the number of persons. 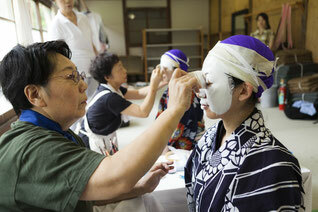 You can put on dynamic Kabuki makeup, known as Kumadori, by yourself. 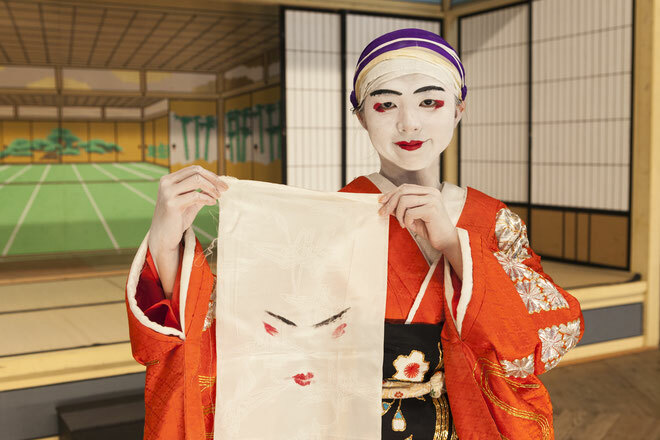 After putting on the makeup, please enjoy taking photos at the playhouse. 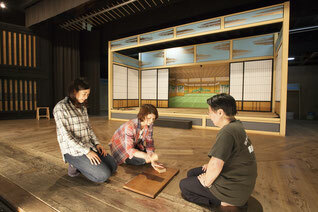 A Japanese lunch at the playhouse is included. 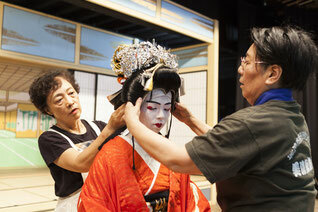 You will take a guided tour of the old playhouse, including an experience of Kabuki music and performance as well as watching the preparation for Kabuki, including costumes and makeup, on stage. 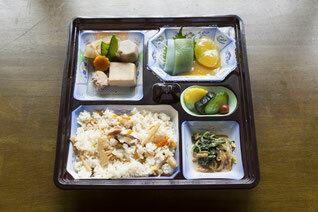 Japanese lunch at the playhouse is included after the tour. At least 6 persons and up to 30 persons at a time.